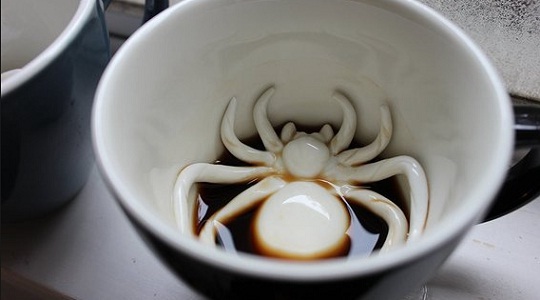 This horrifying spider inside mug can bring a real jolt from their coffee in the morning. Its a regular ceramic cup with creepy spider emboss at the bottom which emerges as you finish your drink. This cups are dishwasher safe, microwavable and hold 11 oz. Available with many sizes and creepy things inside, this could be a really fun creating a jolt to someone you need to play with. Made by Creature Cups in the USA are some of the well-known brand created by an avid coffee-drinking artist. Creepy Cups are available in many creature designs and colors.